First of all: Bionic Heart 2 beta testing is basically over, I’m waiting a bit more but if you waited until now to try it because you were afraid of bugs, don’t wait any longer! Check the official forum thread here with the new download links. Lots of things have changed from last week, I had a sort of enlightening when I completely changed the game logic code. Before, the logic jumps were scattered all around the 100,000 words script, making very hard to understand the game flow. So I tried another approach: I concentrated all the logic code in 10-15 lines, calling each scene from it. It was the decisive move, since all the remaining bugs could be fixed very easily after that! I am making good progress with Nicole too. Main menu track is finished, Darren’s script is done, and I’m testing / adding the various sprites right now to the game. In the screenshot above you also see one of the new chibis representing Nicole’s status (like in Always Remember Me). 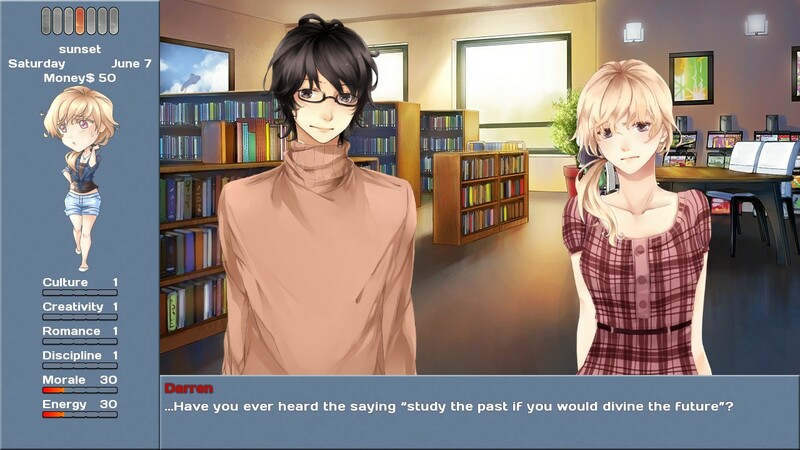 Of course everything is work in progress but I like the direction so far 🙂 If the writer can finish all the otome routes by end of May/mid-June the game might be out in early July for sure! Progress are being made too, now that I’m done with other projects I’m starting to discuss with Aleema some interesting plot twists 😉 At same time artist should be able to finish the enemies and start with the camp talk poses during this month. The script is almost done, and the theme song preview is great, I like it 🙂 There’s still some delays because of background images and some extra CG scenes to be added to the spring break event in the game, so for now I don’t want to say any deadline since I’m not sure myself either. it was ported using Monkeycoder by a developer friend, and so far seems to work well. 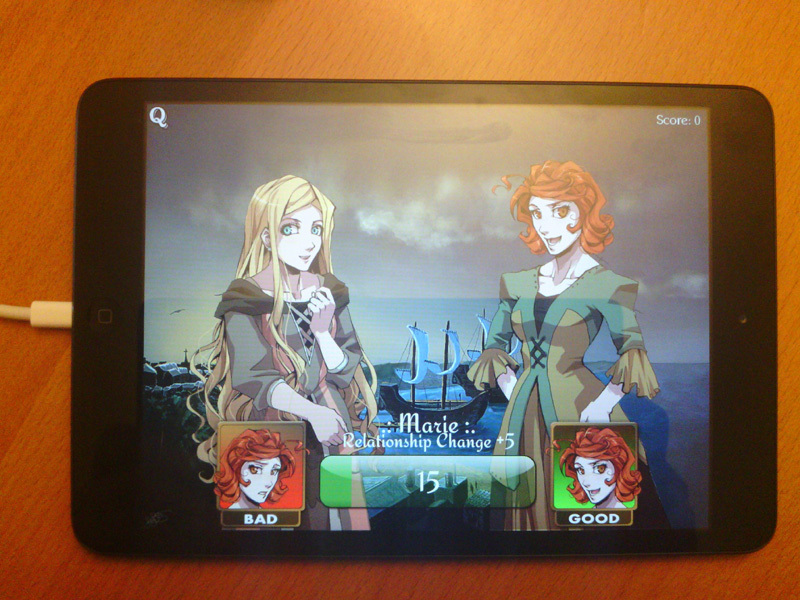 I still need to test it and submit the game, so will probably take another month before appears on the appstore. The plan is to keep porting the other games, except for the RPGs that would require much more time/effort. Also, because of Apple’s policies will probably need to censor somehow the more “steamy” games, since I don’t want to risk to see my apps removed or worse. This entry was posted in beta demo, bionic heart 2, dating sims, development screenshot, iPhone & iPad, nicole, planet stronghold 2, preorder, roleplay games, roommates. Bookmark the permalink.